Accessible Steel Products. Industry Expertise. REPEAT SATISFIED CUSTOMERS. When Midwest manufacturers are looking for high-quality steel, Center Steel Sales is known for supplying the best in the industry for any specification - all at a competitive price. 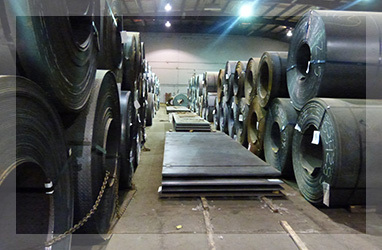 Our High-Quality, Competitively-Priced Steel Products are Fully Stocked and Ready to Ship. We carry a complete inventory of A786 floor plates from 14GA. 36" – 1" 96". 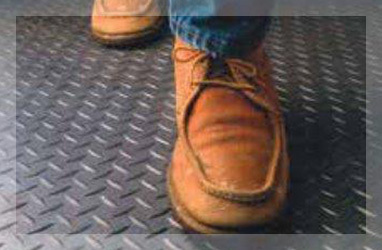 Ideal for flatbed trucks, as well as stair manufacturing & fabrication applications. We carry sheets and plates from 16GA through 1/2" in 48", 60", and 72" widths. Our hot roll steel is readily available for construction and welding trades. Our high-strength steel ranges between 126A – 1/2". Perfect for tougher applications, our steel is sturdier and ships quicker than any other distributor in the Midwest. Founded nearly 40 years ago, Center Steel Sales prides itself in supplying our customers with the best steel to their unique specifications. We offer extremely competitive prices in the industry and unrivaled prompt delivery. 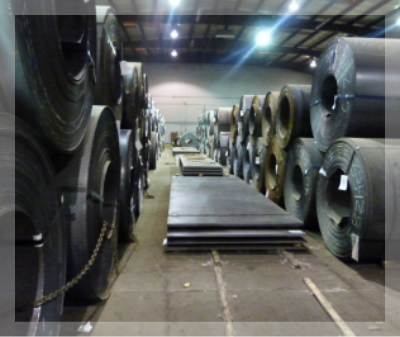 We currently have facilities in both Detroit and Toledo, allowing us to properly serve the Midwest with a full range of steel products that are readily available. Since we started our business, we have grown from five to 15 employees and to over $50 million in sales. We are now serving over 150 customers and counting! Our processing capabilities coupled with our full range of inventory enable our customers to purchase smaller quantities that help control their inventory reduction. Upon demand, we can furnish mill-quantity shipments with very short lead times. Each of our sales starts with a quote that is competitively-priced with other steel companies in the industry, and from there we work to fulfill and ship your order quickly. 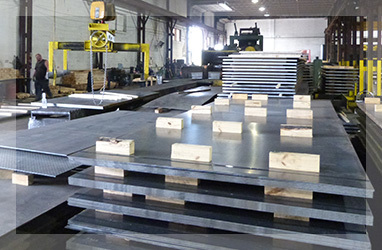 Our experienced sales team assists various industries, including construction, welding, manufacturing, and more, with their unique steel needs. Our customers choose to work with us because we work hard to consistently meet their needs. Let us meet yours, too. Contact Center Steel Sales today to request a quote or additional product information. We’ll be happy to help! Need steel now? We have accessible stock of pre-cut steel to allow for quicker turnaround times. Our deliveries always on time and we guarantee 100% customer satisfaction with every order. With repeat customers since the '70s, we know we have a solution for anyone looking for steel in the Midwest. We Value the Quality and Safety of Our Products Above All. View our documentation to see the ways Center Steel Sales differentiates itself from the competition. The only potential conflict mineral used in the production of steel at our facility is FeCb. We have two current suppliers and both of them have their columbium sourced from minerals mined in Brazil, and thus are not “conflict minerals”. We take great care in our product selection and only offer the highest quality products. We go through many layers of precaution and prevention to make sure our product is as safe as can be.